The Aurora Borealis or Northern Lights is a truly magical phenomenon. I grew up in Narvik, Norway, hundreds of kilometers north of the arctic circle, and seeing the aurora was far too commonplace for anything more than halfhearted remarks like “Oh – nice northern lights tonight”. Still, I remember it as a deeply fascinating experience – always changing, always different, and sometimes almost menacing in its power. And then there was the old saying that if you waved something white at the Aurora, it would abduct you… Pretty scary stuff for a seven-year-old! Now, having spent the last fifteen winters in the southern parts of Scandinavia with no aurora in sight, I see it for the breathtaking natural wonder it is, and watching this magnificent video by Tromsø-based photographer Ole C. Salomonsen really makes me long for those crisp, deep blue winter nights above the arctic circle, when the Aurora roars without a sound, filling the whole sky with surreal cascades of colour. In addition to his obvious talent for photography, Lars is also an accomplished flyfisherman and flytier. Based in the world´s most northernmost city, he knows more than most about the awesome fishing on Finnmarksvidda, the vast tundra plateau that sits on top of Europe. Check out his pics on his Flickr page – there are loads of great images there! 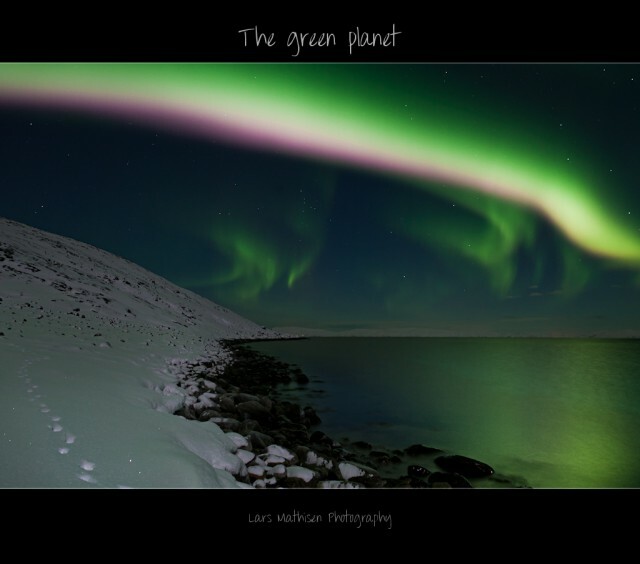 The aurora is notoriously diffuclt to take pics of and film, so hats off to these guys! Maybe a little off topic, however, We were thinking of going to the Northern tip of Norway sometime between October 2010 and Feb 2011. We heard this is the best time of year to go. But we have also heard that Sunspot Cycle is very low right now. Can anyone offer any advice as to when we should go to have the best chances of seeing the aurora borealis?